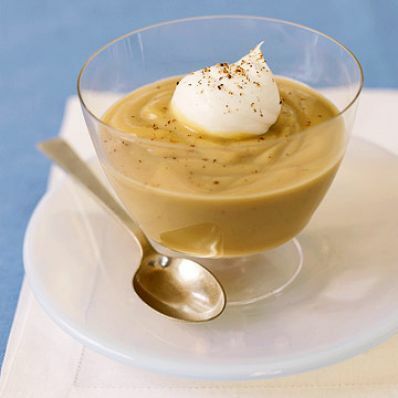 Dark brown sugar makes this creamy homemade pudding extra sweet. 1 of 3 Stir together 2-1/2 cups of the milk and the granulated sugar in a large saucepan. Heat until steaming. Remove from heat; set aside. 2 of 3 Meanwhile, in a medium-size bowl, mix together dark-brown sugar, cornstarch and nutmeg until evenly blended. Whisk in egg yolks, remaining 1/2 cup milk and salt. Stir a little of the hot milk mixture into the brown sugar mixture. Stir brown sugar mixture into milk mixture in saucepan. Cook, stirring constantly with wooden spoon, over medium-low to medium heat until thickened and registers 160 degrees F on an instant-read thermometer, about 20 minutes. Remove from heat. Add butter and vanilla; stir until smooth. 3 of 3 Strain into six dishes, 1/2 cup in each. Cool 10 minutes. Cover surface directly with plastic wrap. Refrigerate at least 2 hours. 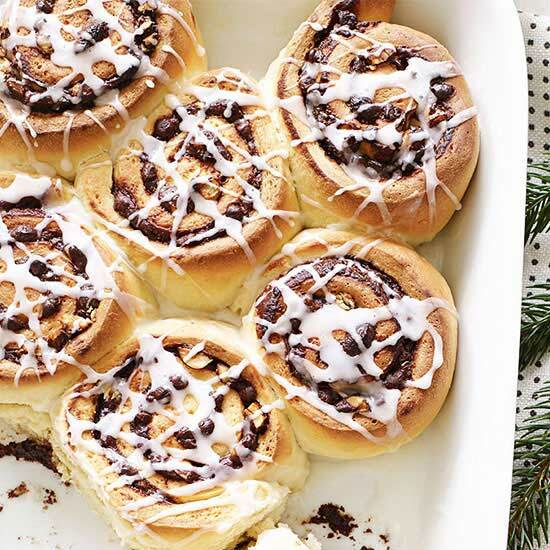 Garnish with whipped cream, if desired. Per Serving: 169 mg sodium, 133 mg chol., 6 g sat. fat, 44 g carb., 10 g Fat, total, 5 g pro., 0 g fiber, 291 kcal cal.